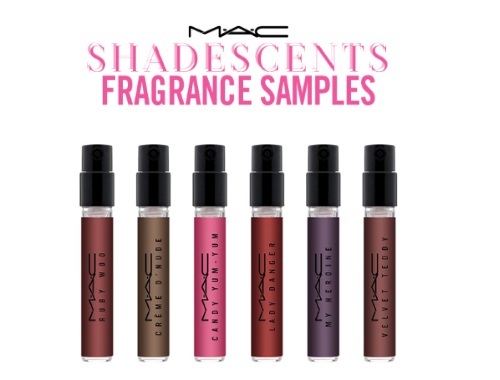 Celebrate National Fragrance Day today with Six Free Fragrance samples from MAC Cosmetics! These fragrances are inspired by the personalities of their cult-favourite lipsticks. You can also try one with every order (if you want to place a smaller order) or get all six with the code below. Try them all complimentary with any $45 purchase or more, enter the promo code SCENT at checkout.